Wed. #2 is HERE. To help the website out please subscribe to Mistah MegaManFan so we can reach 1,000 (current count: 845). If you're a gamer you'll enjoy the content! Don't miss Thursday Night AMP taping at 9 PM ET! With the cheap plugs out of the way here's Thursday's latest news. 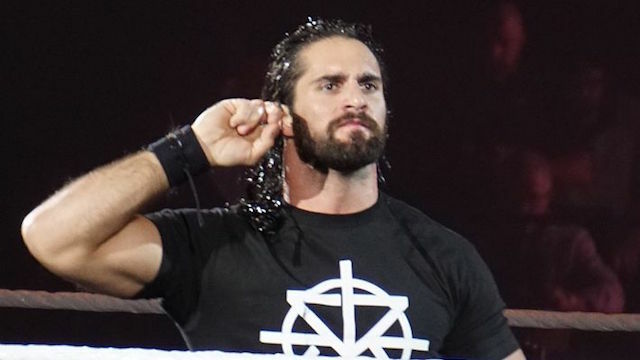 Here Seth Rollins talks about Dean Ambrose leaving WWE: "It breaks my heart. I get it. I understand. This place can be frustrating and he's a guy that's been doing it nonstop for 15-17 years now. Sometimes, you just need to step away and take care of yourself. I wish him luck in whatever he wants to do. We're still going to be friends and brothers. I'll love him for as long as we can. He marches to the beat of his own drum. He's a wild animal. You can't put him in a cage or tame him. That's not how he operates." Speaking of WWE 2K19 here are some comments from The Miz: "Look, I can play 2K19 with the best of them. Can I beat AJ Styles? No. He's very good at it. He plays all the time, it's all he does. Me? I have a lot more things on my plate. I'm the executive producer and star on Miz and Mrs. I have a lot of media I've been doing to promote the new season. I've been filming 14 episodes, I don't think you understand how hard that really is. All while being a full-time WWE Superstar and dad. AJ has a lot more time on his hands to play games and hone his craft." Arm-Wrestle Kingdom, a live armwrestling tournament hosted by The Kingdom's Matt Taven, will be part of the G1 Supercard Festival of Honor on Friday, April 5 at 2:45 p.m. at Madison Square Garden's Hulu Theater. The event is sponsored by the World Armwrestling League (WAL), the largest and fastest-growing professional armwrestling league in the world. In addition here's a new Ring of Honor video. To make a long story short wrestlinginc.com/news/2019/04/glow-originals-discuss-how-vince-mcmahon-felt-about-glow-652683/ the original stars of GLOW say Vince McMahon hated the company. WWE is unveiling a new HOF statue at WrestleMania Axxess. Tony Schiavone says fightful.com/wrestling/exclusives/exclusive-tony-schiavone-still-under-mlw-contract-doesn-t-expect-work-there-until-least-2020 he's still under MLW contract but won't appear for them this year. Last but not least app.com/story/entertainment/events/2019/04/03/liv-morgan-sonya-deville-nj-women-heart-wwe-evolution/3288371002/ here's a new Sonya Deville interview.